First 25 to sign up gets a FREE Hurricane! from 2pm – 5pm for Live Music! 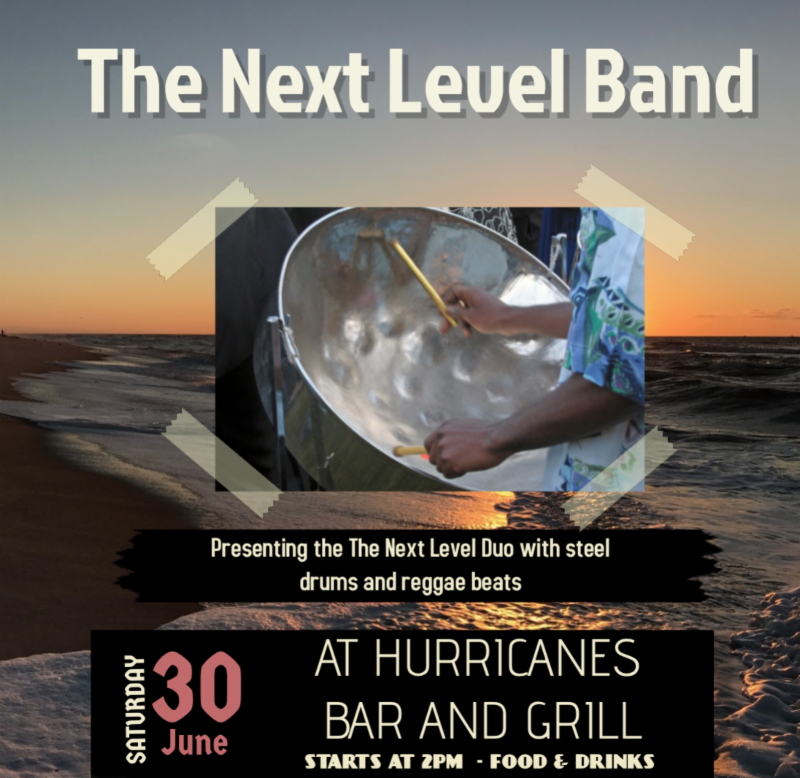 Top 40/ Reggae/Calypso, Jazz, Disco, Pop, and Steel Pan.